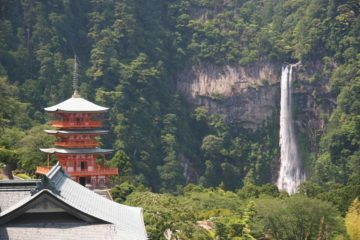 Japan Waterfalls are sprinkled throughout this mountainous country that sees plenty of snow and cold Winter days as well as hot and rainy Summer days. The rugged topography has resulted in many different kinds of waterfalls. 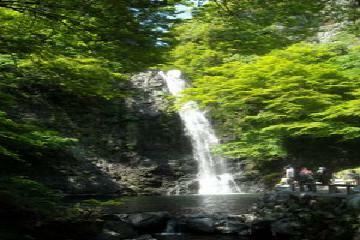 That said, waterfalls seemed to be somewhat boutique attractions as they’re not widely known outside of the country. 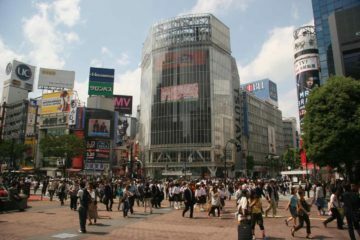 Indeed, it’s more known for temples, bustling modernized cities, sushi, anime, and other things not necessarily related to Nature. All this meant Julie and I were busy trying to find these waterfalls as well as mixing in the country’s signature sights. The result is this page, which is still a work in progress. 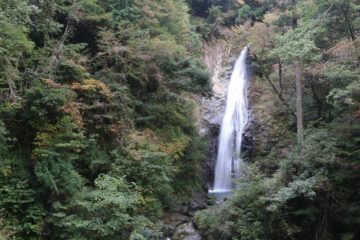 Nevertheless, Julie and I have seen quite a few waterfalls in Japan. 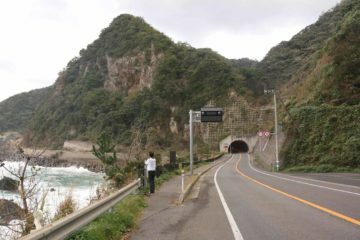 Indeed, we’ve been to Hokkaido in the far north, and we’ve visited many in the main island of Honshu (even getting a small taste of this island’s western fringes). Hokkaido could very well be one of Japan’s least developed part of the country. 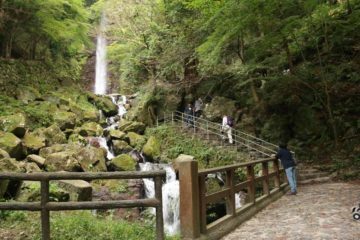 We experienced for ourselves places like Shiretoko National Park as well as the mountains like Daisetsuzan (whose meltwaters were said to be so clean that a couple of famous Japanese beer brands are from here in Asahi and Sapporo). 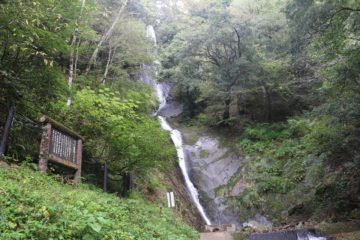 Among the waterfalls we’ve seen were the side-by-side waterfalls of Ginga and Ryusei as well as the hot-water Kamuiwakka Waterfall. 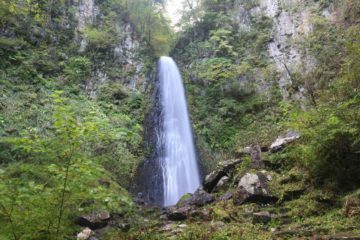 On the island of Honshu, we’ve gone north of Tokyo to visit waterfalls such as Kegon-no-taki and the Akiu Otaki among others. 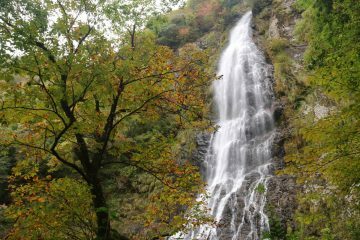 We’ve also been in the heart of the island between Kyoto and Tokyo experiencing notable waterfalls like Nachi-no-taki and another waterfall pairing fed by the melting snow in the Japan Alps like Shomyo-daki and Hannoki-no-taki. 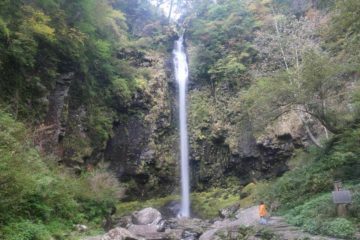 We also saw a percoalting wide curtain in Shiraito-no-taki on the western slopes of Mt Fuji. 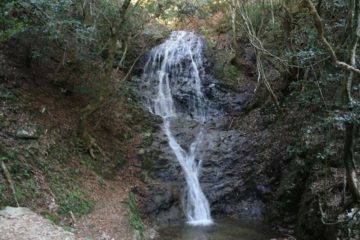 Finally, on the fringes of what we’ve experienced in Japan so far in its west (at least west of Osaka), we’ve managed to experience some lesser known waterfalls like Harafudo-no-taki and Tendaki among others. Something that’s worth mentioning is that the Japanese are very precise, and this is reflected in their public transportation system that’s second to none. 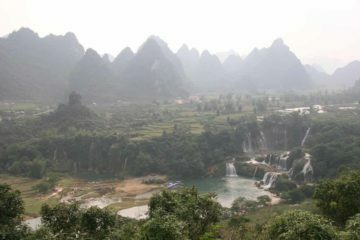 In fact, we’ve managed to see many of the waterfalls (as well as many of the non-waterfall sights) using their public transportation in an attempt to control cost (though the tremendous infrastructure also comes at a price). 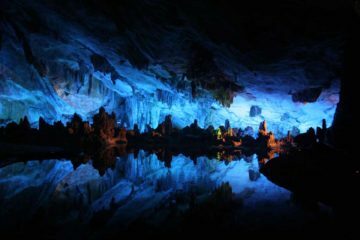 Therefore, for the waterfalls that we did visit by public transport, we’re going to reflect our “driving” directions based on our public transport routes. For those waterfalls that we did self-drive to, then we’ll describe the driving directions as usual. And we’ll describe both if we did it both ways or even heavily studied and contemplated doing it one way or the other. 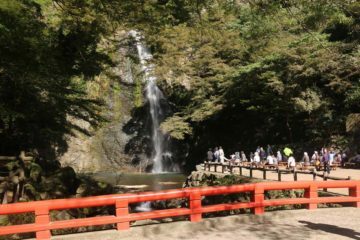 In any case, considering that waterfalls are generally located in rural countrysides, the fact that we’ve used their mass transit system to visit most of the waterfalls without a car was quite an incredible statement to make! Note that like the China page, we’re also incorporating a combination of romaji (romanized Japanese) along with kanji (Japanese script that borrows heavily from traditional Chinese characters) and some other sound characters like Hiragana and Katakana. That’s because often times you’ll only have Japanese characters to deal with so you’ll have to try to match up the characters if English is nowhere to be found (this happened to us quite often in Japan!). I also haven’t learned Japanese so I can’t provide any further aids on pronunciations and translations besides our ability to translate some Chinese characters in kanji as well as translations already in the literature.